The correct French pronunciation of Berger Picard is bare ZHAY pee CARR. 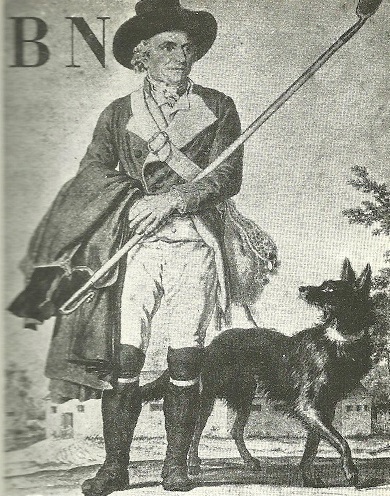 Berger is the French word for shepherd and Picard is the region in France where they are from. Fanciers call the breed: Picards. Berger Picards, with their crisp coats, were reportedly used to smuggle tobacco and matches across the Franco-Belgian border. The tobacco would be put in goatskin pouches, hairy side up, and attached to the dog’s shaved back. From a distance, dogs carrying such loads would not draw attention, particularly at dusk or at night. There have been several unsuccessful attempts in the past 20 years to establish the Berger Picard in North America. 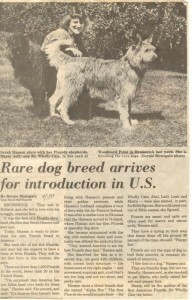 The current influx of Picards is greatly attributed to the use of the Internet, which provided the means of communication between European breeders and American buyers. Berger Picards can be seen in three current movies, “Because of Winn Dixie,” “Daniel and the Superdogs,” and “Are We Done Yet?” but Picards are often mistaken for another canine actor, the Wirehaired Portuguese Podengo Medio, another scruffy looking rare breed. 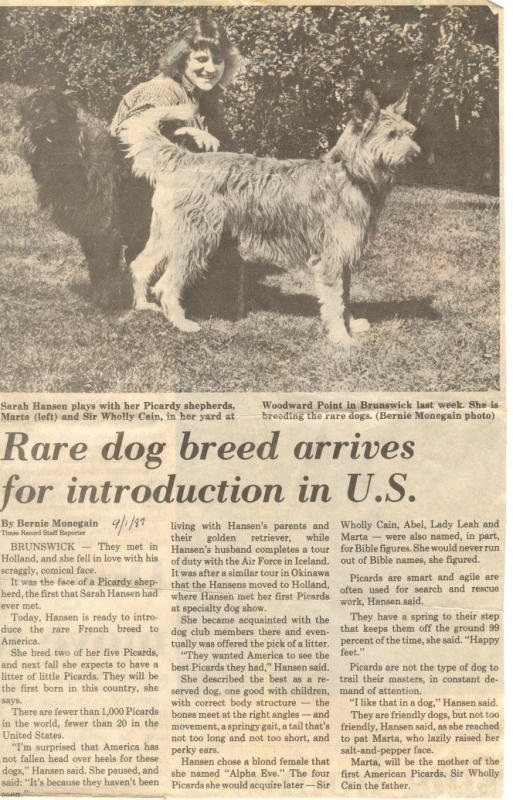 Long time herding instructor, Michele McGuire has written a loving tribute to her Berger Picard entitled, “Xelie’s Gift.” Check out this amazing video from Amazon!